Announces more dates with POWERWOLF! KISSIN’ DYNAMITE are looking back to a very successful year with the launch of their latest album ‘Ecstasy‘ and a very successful tour in support of POWERWOLF which saw them take over arenas all over Europe. 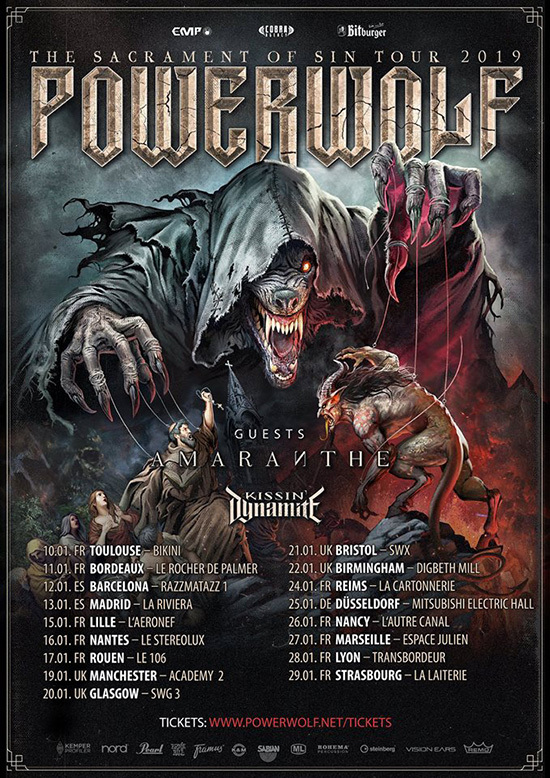 KISSIN’ DYNAMITE will support POWERWOLF on their second European run in January! 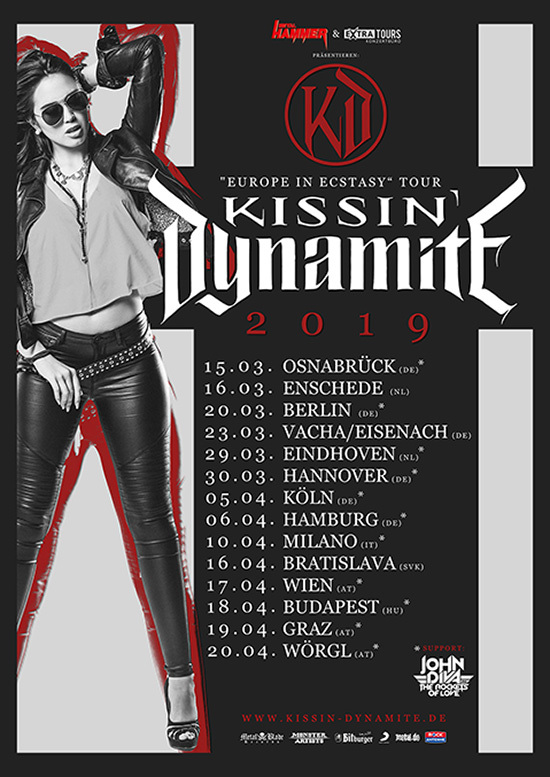 Catch KISSIN’ DYNAMITE live on their upcoming European headline tour in March!